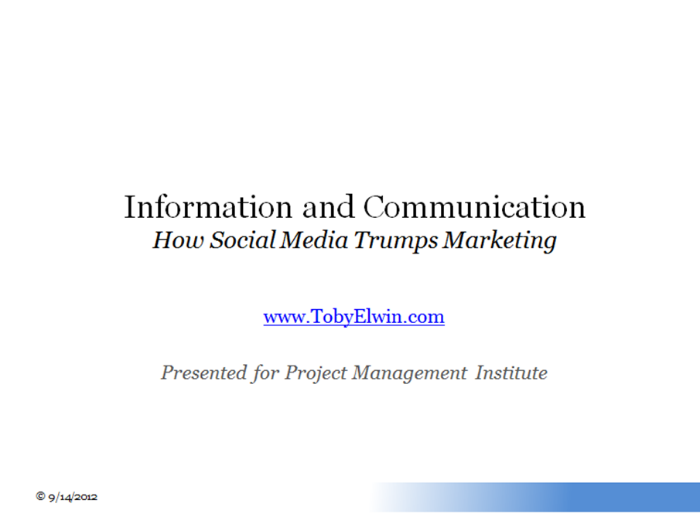 Today was a privilege to present to the Project Management Institute. Full slides available to view and download below. 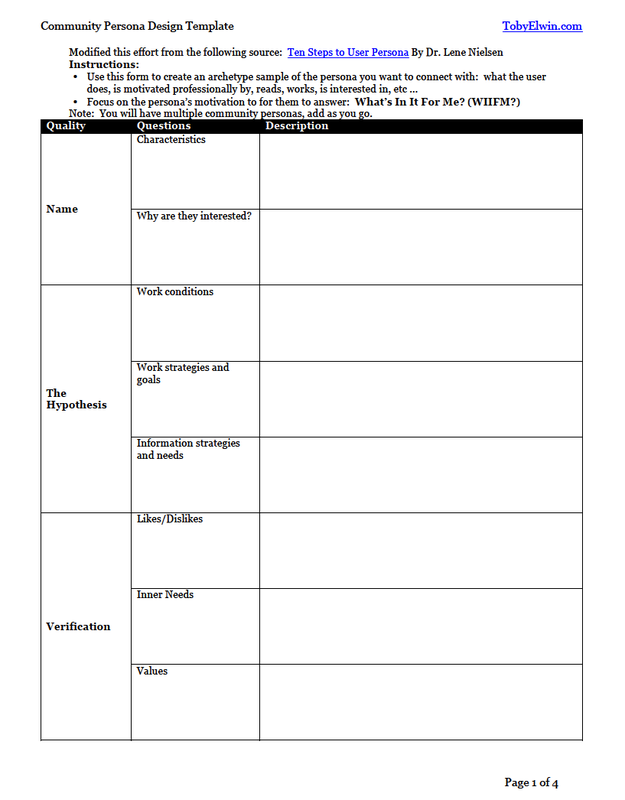 Also a Community Persona worksheet template is available to download and customize. The tips are equally valid for anyone interested in the launch and management of a social media presence for ROI — Return on Involvement. Review presentation embed below through slideshare. Project plan I would need to spend time outlining, and will, but may lend insight in absence of that spare time, would absolutely involve a Agile/Scrum endeavor. This YouTube videois helpful to capture both a social media strategy plan and an overview of Agile for others interested in the methodology that maximizes involvement. Also, the quick 1 hour we had on the phone was the briefest of samples. You might find the How to launch and manage your social media identity helpful post good for digging deeper, too.